Jacinda Ardern says the target to build 100,000 homes over ten years still remains. OPINION: When project deadlines start blowing out, its only ever downhill from there. Longer delays, greater costs, more corners being cut to try and get it back on track. KiwiBuild was never going to be able to reach the milestones the Government had set – not without significant reform of the Resource Management Act. And yet, it could prove to be the most unforgiving policy to get wrong. Of all the promises to break though, this is the one inextricably linked with the Kiwi dream. Now the Government has officially scrapped its first term building targets and the policy isn’t just in danger of failing – it is failing. The housing shortage is a big and tangible problem, affecting hundreds of thousands of Kiwis, and there were countless times on the campaign trail when Labour leader Jacinda Ardern and her MPs literally said “we will fix the housing crisis”. With the admission the Government would only be able to build 300 by houses by July 1, Housing Minister Phil Twyford has all but confirmed the rest of their deadlines are likely to blow out too. And as much as Ardern tries to claim the longer deadline to build 100,000 houses in 10 years is still on, no one’s kidding themselves. Their flagship policy is six months in and already a dead duck. 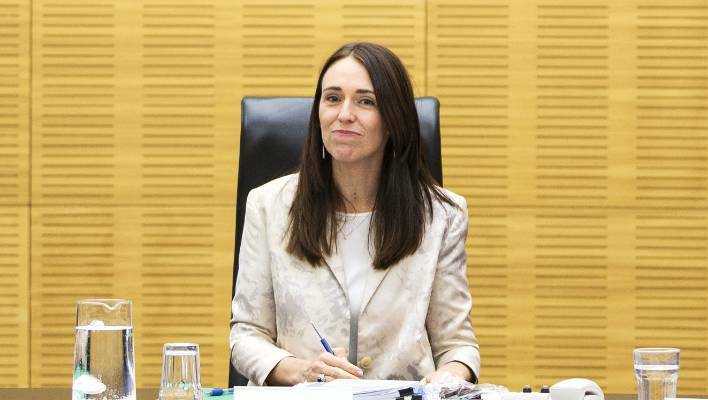 Prime Minister Jacinda Ardern has convened the first Cabinet of the year, and they had better get delivering and first and foremost, on Kiwibuild. Let’s not pretend National has any credibility on housing, either. With the amount of gleeful hand-rubbing going on, one would think the previous Government took bold and wide-sweeping action at the outset of a burgeoning crisis, rather than adopting the political equivalent of sticking one’s fingers in their ears and singing “LA LA LA”. But that Twyford had to announce he was “recalibrating” the policy just a day after his Prime Minister branded 2019 a “year of delivery” for the Government, it’s probably too much to ask National’s housing spokesperson Judith Collins to keep herself contained. And as the Government drafts legislation to allow the confiscation of land to build houses – against the advice of officials – Twyford’s response to the collapse of this policy has more than a whiff of desperation about it. It could not have been a worse start to the year for the Government. Fresh from an international trip where Ardern dazzled, she might have hoped to begin the year with a visit to Waitangi that mirrored last year’s exultant celebrations, a caucus retreat where MPs brimmed with strategy ideas, and to deliver an economic speech that neatly positions the Government as “economic visionaries”, winning over business on tax reform and fair pay agreements. KiwiBuild’s stumble has put paid to that, and a surprise commitment from National leader Simon Bridges has backed Finance Minister Grant Robertson into a corner, with the apparent argument it’s not feasible to index income tax brackets to inflation. If both parties are starting how they mean to go on, then the return of Parliament is unlikely to be a gentle start to the new political year.